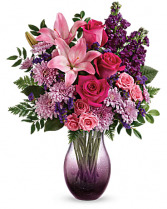 This Christmas bouquet stays true to its name! Merry details including red Christmas ornament balls, Douglas fir and variegated holly are mixed with bright green button chrysanthemums in a jolly red cube vase. 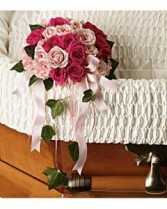 Lush roses and carnations add to the seasonal splendor. 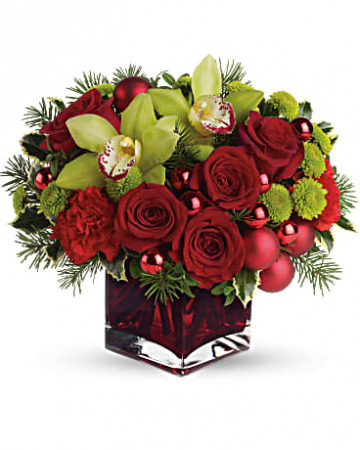 A gorgeous red cube vase is filled with red roses, red carnations, green button chrysanthemums, variegated holly, Douglas fir and English boxwood. Shiny and matte Christmas balls add a festive touch.